Pond Scum is a strong and engaging collection of BBC 1 Peel sessions. Mostly, just Will Oldham aka the Bonnie 'Prince', and his acoustic guitar. Aside from great versions of classics like 'Death to Everyone', it also features the unreleased 'Beezel' and an unexpected cover of Prince’s 'The Cross'. 'Drunk at the Pulpit' dates back to Will Oldham’s lo-fi Palace Brothers debut, There is No One What Will Take Care of You. And while I loved the original’s rough charms, it’s nice to hear the song in this setting. What a thing of real beauty it is. 'Death to Everyone' is just as stunning as the album version, with some sparse electric guitar and haunting backing vocal accompaniment. If you ask me, “Arise, Therefore” beats out its album counterpart. More obscure pieces like “Jolly Five” and “Jolly One (2-15) are dusted off and shine like the rare gems they are. Here, they are gorgeous and approachable, rescued from Oldham’s nagging tendency for murky, snail paced naval gazing. The unreleased, “Beezel” is mysterious and beguiling, exemplary Bonnie “Prince”. “The Houseboat (O How I Enjoy the Light)” is one of the most rousing numbers on the collection, full of energy and genuine yearning. “Trudy Dies” has always been a hushed delight and is most welcome here. In contrast, I always found the original “Stable Will” rather impenetrable and arcane. Here, he brushes away the detritus, giving a much more accessible, straightforward performance. Its almost like a different song. His version of Prince’s “The Cross” is a revved up, stirring interpretation. Would go well round any campfire if the lyrics weren’t so biting. Definitely a Pond Scum highlight and well worth the price of admission. “Idol On the Bar” ends the album in a meandering note. While haunting, an almost improvised sounding closer to a satisfying and beguiling album. Oldham has never been shy about reworking and repackaging his work in his uniquely restless way. Pond Scum is a consistently rewarding listen from an artist who at his best and worst, can be whimsically erratic. A healthy addition to the Bonnie “Prince” oeuvre. 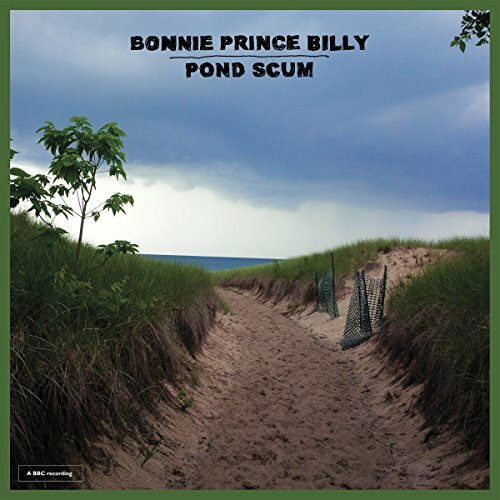 If you're a fan of the Bonnie "Prince", Pond Scum is for you.